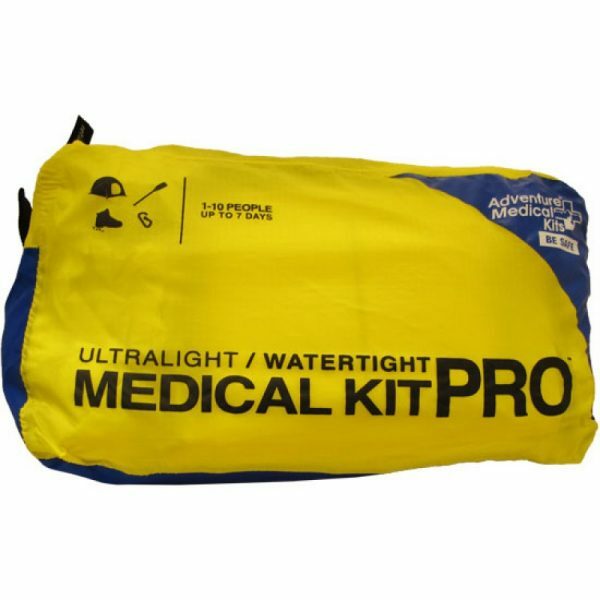 If there’s one waterproof first aid kit you can trust, this Ultralight Pro from Adventure Medical Kit is the one to get. Why, you ask? It’s exclusively used by Yosemite Mountain Guides. If there was ever a stamp of approval, this is definitely it. 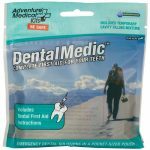 So why do Yosemite mountain guides put their trust in this first aid kit? As the name suggests, the kit is waterproof so you don’t have to worry about soggy supplies. 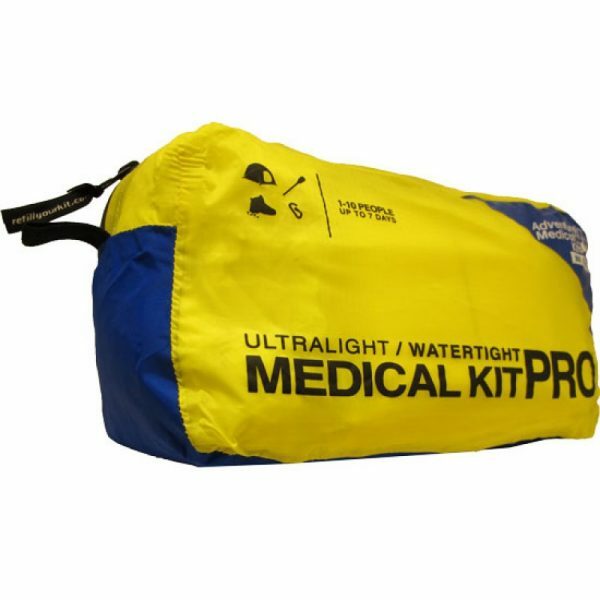 Even more important is the fact it provides enough supplies for up to ten people and still manages to be incredibly lightweight. 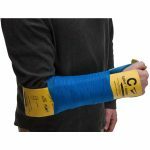 Of course, depending on your activity, you may not require all of the supplies. Luckily, it’s easy enough to rearrange the contents of the pack to suit your needs. This way you can keep the necessities for a day trip in the main pouch then add on the peripheral pouches for more involved trips. Or, if you prefer, you can separate all the items into the included three smaller pouches and provide them to the group leaders. Even if you get separated, you at least know there’s a first aid kit for each group. 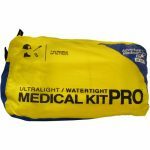 There’s also room for customization in this waterproof first aid kit. You can, of course, remove items you deem unnecessary. 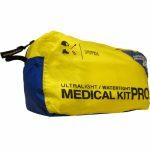 Even if you don’t, you can include some personal items that you may need such as floss, some string or feminine products. And, of course, make sure to refill the kit when you use an item. 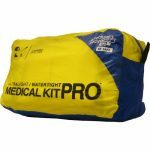 There’s nothing worse than having a first aid kit but not having the supplies you need.